Hicks Morley lawyers are frequently called upon to advise on matters which are national in scope. 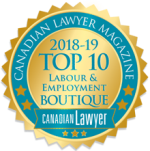 In addition to our extensive experience representing clients across Canada, we have developed a national network of management side employment and labour lawyers/law firms in every province in order to offer our clients local expertise and seamless support, when required. The strength of Hicks Morley’s national network of firms allows us to assure our multi-jurisdictional clients of a nationally consistent approach to issues and consistent client service. 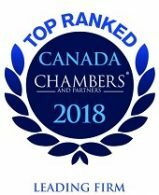 Hicks Morley is affiliated with Harris & Company LLP, the largest management-side labour and employment law firm in Western Canada, with over 40 lawyers. While we continue to operate independently in our respective jurisdictions, through this affiliation we have further strengthened our national presence by delivering seamless, value-added services to our national clients through our shared knowledge, contacts and resources. Hicks Morley and Mandlowitz Consulting and Paralegal Services (MCPS) entered into an affiliation of services effective January 1st, 2014. MCPS provides services and acts for employers in the areas of workplace safety and insurance, occupational health and safety, and attendance management. 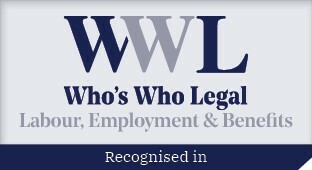 Services include: claims and financial issues management; training and education programs; government workplace reviews and audits; developing workplace programs, policies and best practices; and public policy and government advocacy. Jason Mandlowitz, former Vice President of Consulting Services at Hicks Morley, is the President and Principal of MCPS. Jason has twenty (20) years of consulting and paralegal experience in all areas of workers’ compensation and health and safety in addition to having served as the first Director of the Ministry of Labour Office of the Employer Adviser and Senior Director for the Workplace Safety and Insurance Board. For more information about Mandlowitz Consulting and Paralegal Services please call 647.407.6402.